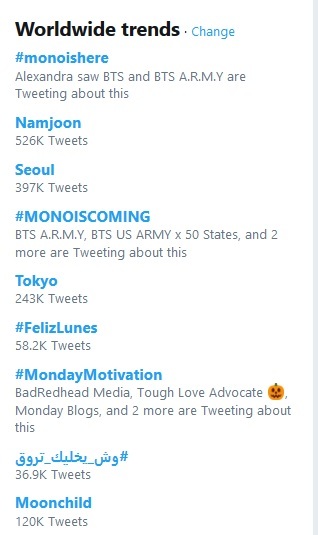 Twitter exploded with millions of tweets by the ARMY as BTS’ Kim Namjoon released his mono playlist: hash tags related to RM’s mono occupied the Top 5 Trending hash tags on Twitter with the 6th one at #9. #monoishere is ranked #1, Namjoon comes next, Seoul is 3rd, #MONOISCOMING is 4th and Tokyo is 5th, while Moonchild is 9th. Meanwhile, Mono by RM charts at #1 on iTunes US & UK and 70 other countries, taking over Lady Gaga’s previous spot. It’s #2 in a dozen more countries, and would possibly be at #1 in the next few hours. It’s an unprecedented feat for a solo from a BTS artist. 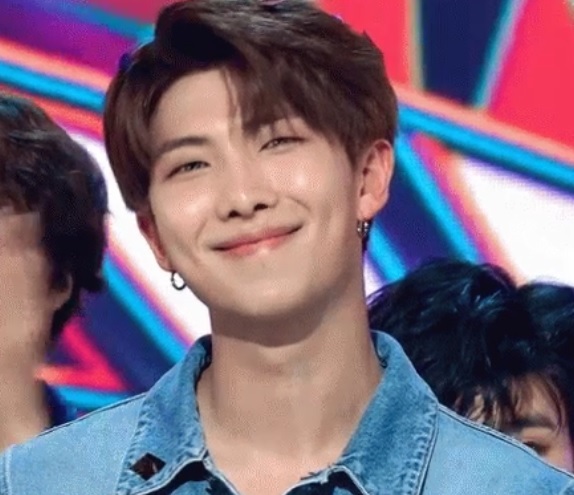 Indeed, the ARMYs showed the power of their absolute love for the charismatic leader of BTS – RM. Fans are thrilled of RM’s mono playlist, saying “It’s so beautiful”, and that they got emotional just listening to the collection of RM’s musical genius. Watch KIm Namjoon’s “Forever Rain”, courtesy of BigHit Entertainment.